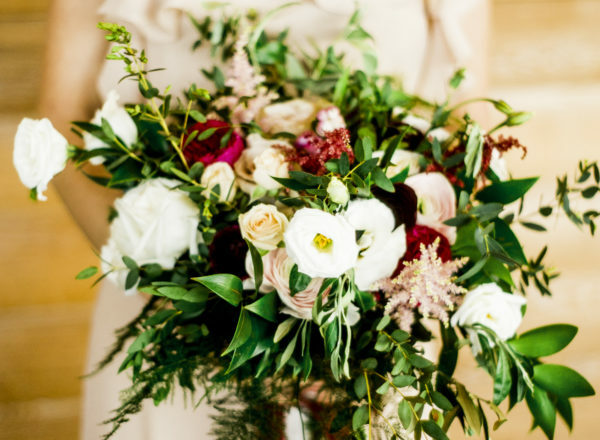 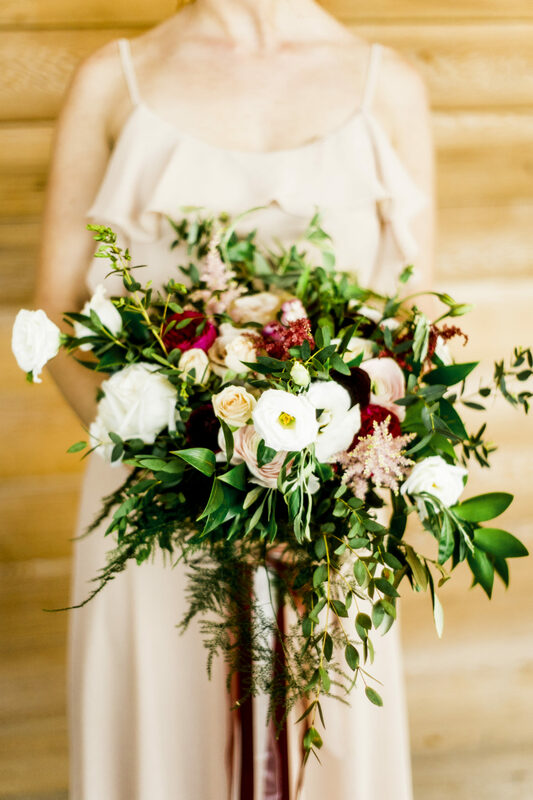 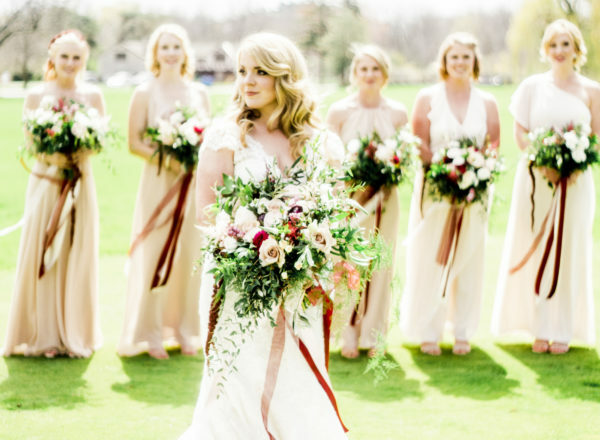 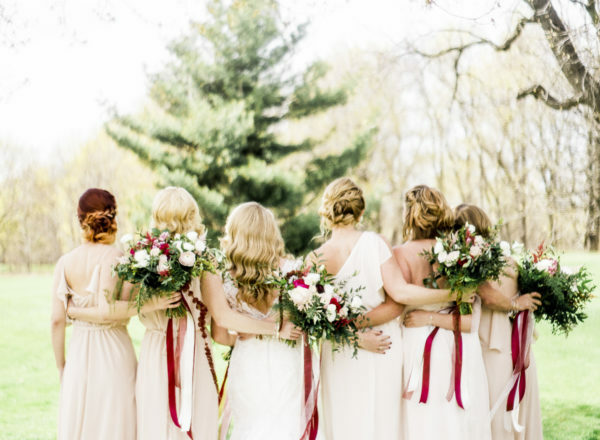 Becca’s bouquet was certainly one of our favorites of the season…. 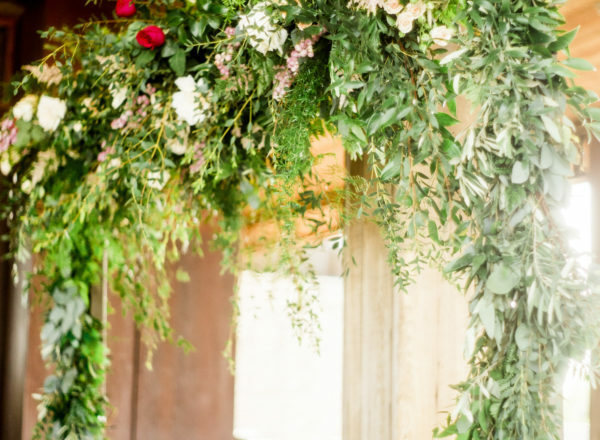 A loose whimsical bed of mixed greenery was the perfect base to showcase the mixed blooms in hues of champagne, blush and magenta…trails of accenting ribbon cascading as she took her walk down the aisle to meet her forever. 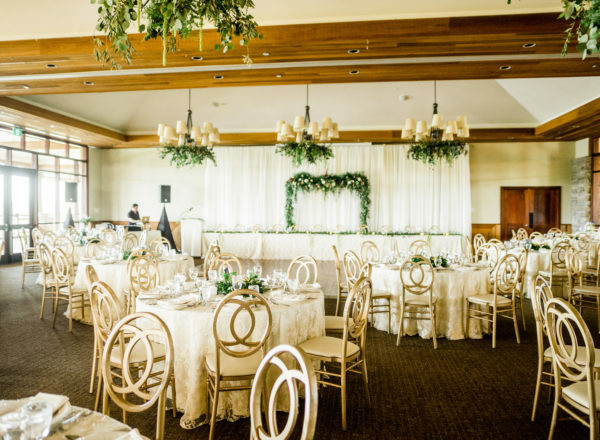 Becca and Terry where joined by friends and family on the covered deck at the beautiful Legends on Niagara golf course. 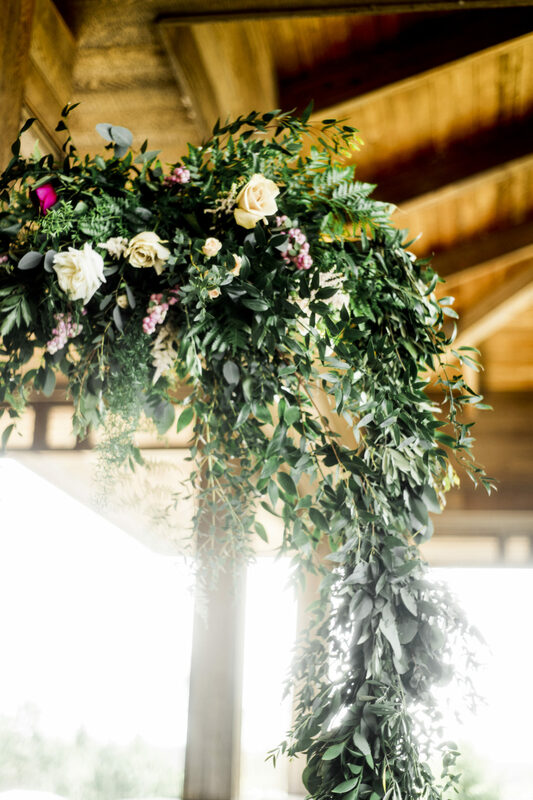 The breathtaking vista was a natural back drop as the couple exchanged their vows under a lush greenery arbor adorned with beautiful stems to compliment her bouquet. 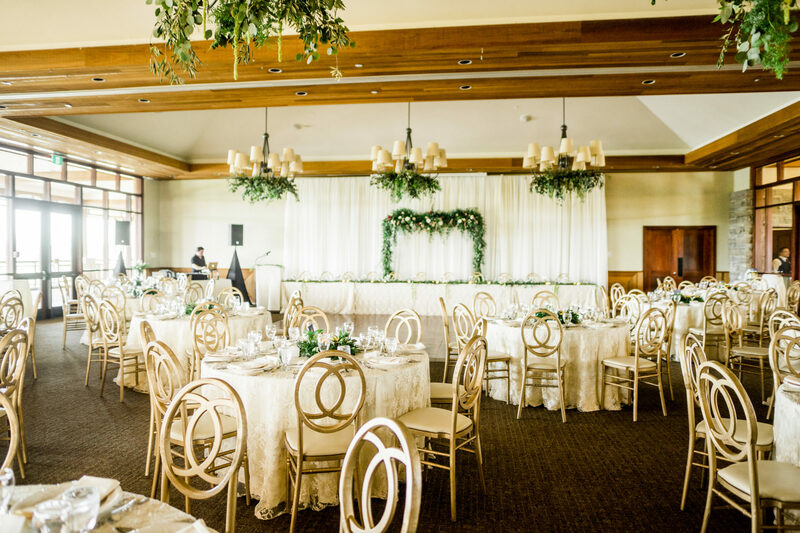 Inside a homage was paid to this exceptional golf course by festooning the room using different textures of foliage. 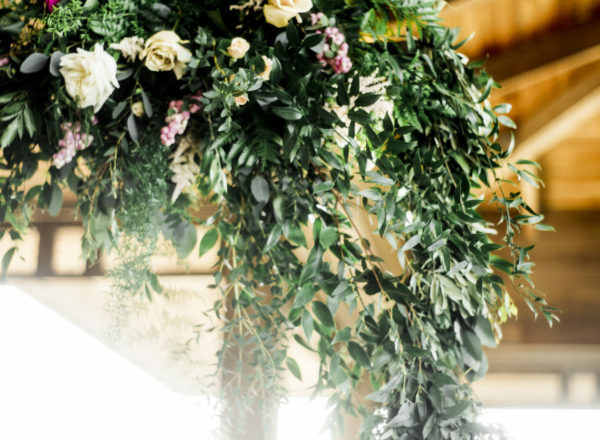 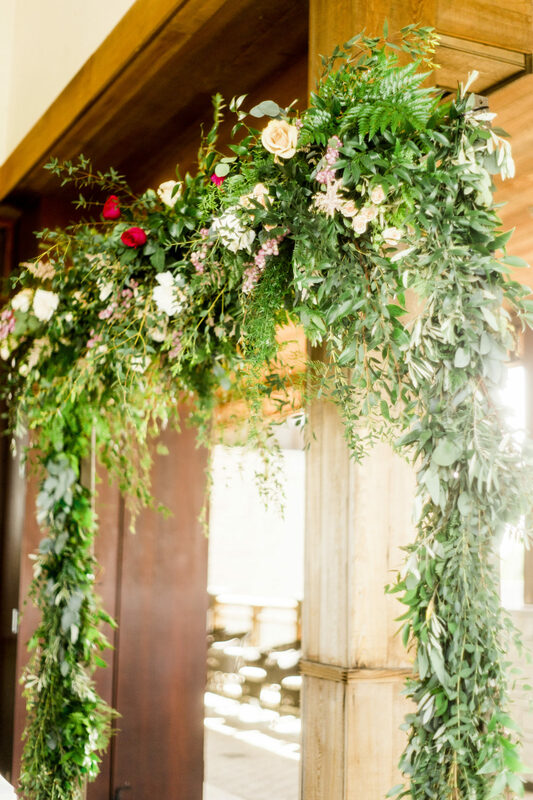 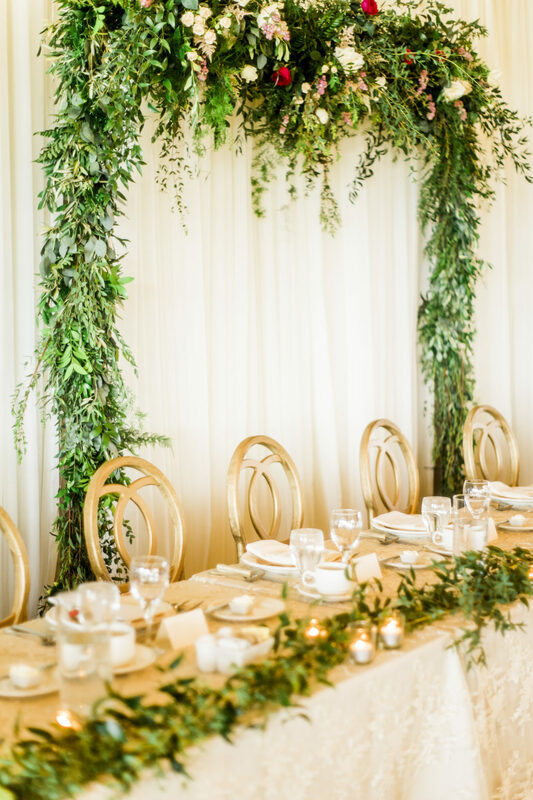 Six large chandeliers that hang in the ballroom where meticulously draped with layers of greenery and hanging Amaranthus creating a unique canopy of foliage for guests to celebrate beneath. 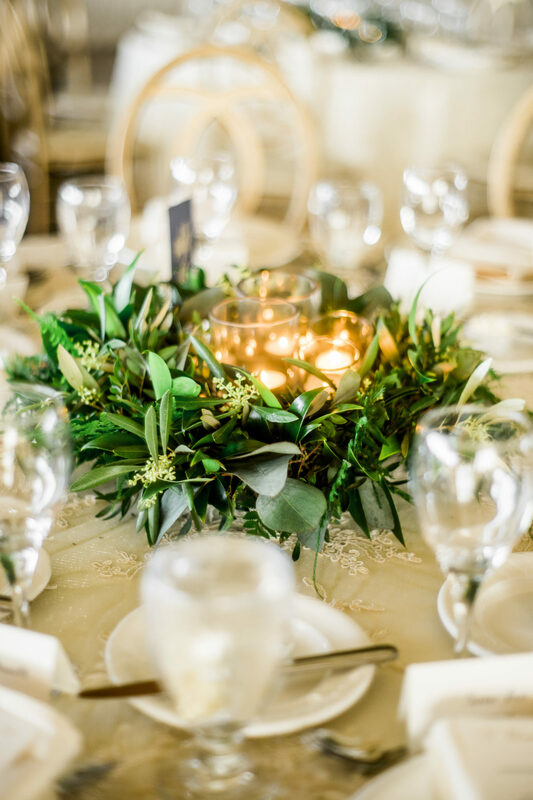 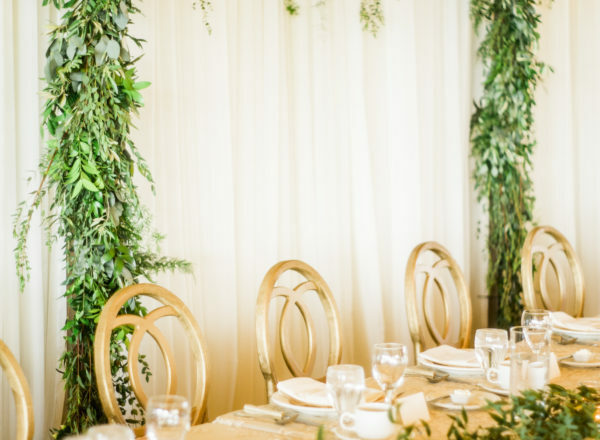 Each table mimicked the chandeliers with beautiful rings of greenery surrounding a collection of candles to give a warm and beautiful glow to the room. 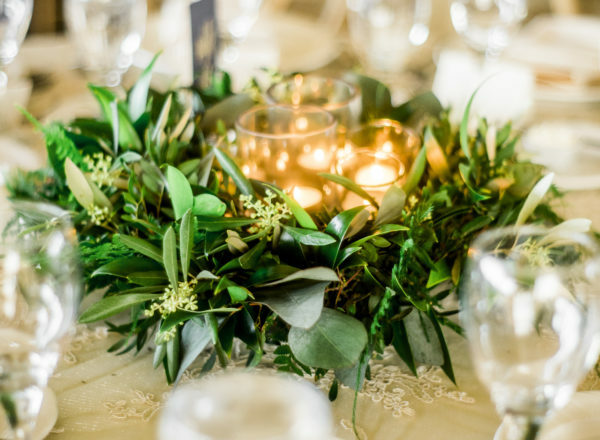 Becca, groom and bridal party took their places at the head table, surrounded with candles and, a lush beautiful greenery garland. 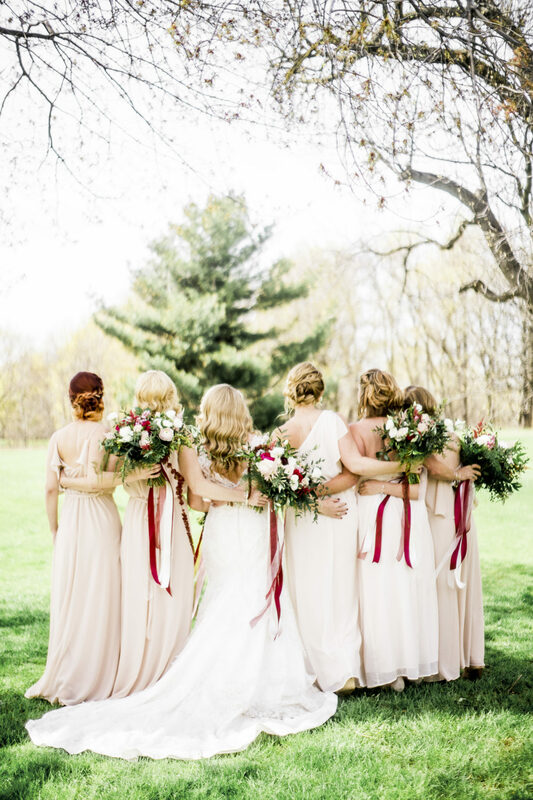 We wish them a lifetime as beautiful as this incredible day was.